Let’s pretend you own a few houses around town, you’ve invested in some properties, or you’re trying to rent out the space above your garage. There are two roads you can travel down, and both are equally viable options. The first road has you managing the rental properties on your own; the second has you receiving the monthly rent checks while letting a property manager handle all the finer details. Although utilizing a property management company will take a small percentage out of the rent checks, the benefits are greater. A property manager is a lot more than someone who filters rent checks. These companies handle all the headaches that accompany owning rental property. Before just picking the first name that pops up in a quick Google search, look for companies that have been in business for a while. Most property management companies are run by a fully licensed real estate agent, like Maureen Bryant. You need to find someone who will work hard for your property and act as a buffer between you and the tenant. We schedule and handle all maintenance and repairs (including pressure washing the exterior of the home and termite bombs), using only our most trusted vendors. We partner with only contractors who have proven to be reliable with their work. Property managers take over all responsibility of finding high-quality tenants. They know what red flags to look for in applications, which avoids legal problems, financial issues, scams, and everything in between. A thorough screening process will result in tenants who pay on time, rent longer, take care of the home, and generally cause less issues all around. Short vacancy periods are important. Generally speaking, you want to have long paying tenants and a quick turnover in between. Management companies have the marketing tools to make sure your empty rental property gets seen by the most number of people and filled quickly. All of the rental properties that we manage go into the MLS system of Savannah and out to about 130 listing sites. When your rental is occupied, we know how to keep our customers (you and the renter) happy, especially with the help of our user friendly portals. Our software program lets homeowners view their account, pay invoices, and check on tenant’s rent. As for the tenant, they can login to their portal, pay their rent, and submit any work orders. Using a property management company means that you get to enjoy all the benefits of owning real estate (i.e. investment potential, financial gains) without having to worry about the details that go into owning another house with people living in it. We do monthly check-ins to make sure the yard is being taken care of, and we do inspections twice a year. We handle HOA dues, and we also prepare 1099 papers for the homeowner with a full list of expenses. 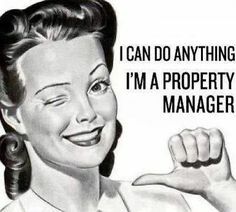 Now that you have a better idea of what a property manager does and how we can help you, give us a call.